Amid baby babble, Jordyn LaMont’s eyes grow wide with excitement as she spots her father, Brandon, bursts into a wide smile and playfully raises her toes to his face. Jordyn was born in January 2017, blue and gasping for air — a hauntingly familiar scene to Stacey, whose two-day-old daughter, Mya, died from pulmonary hypertension in 2008. 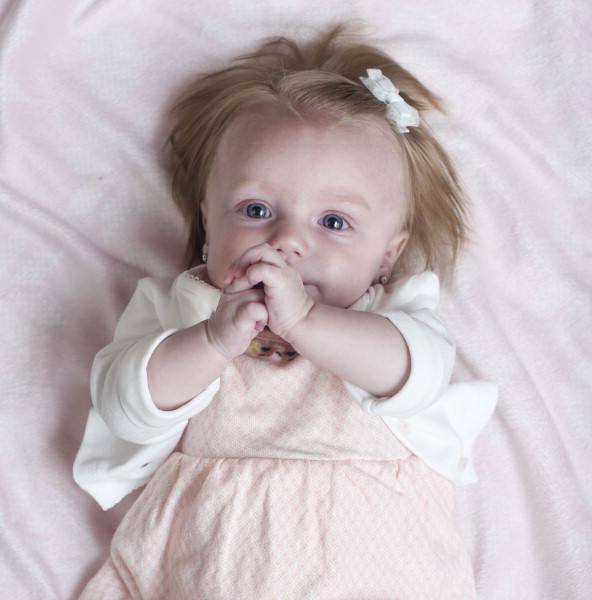 Roughly 12 hours after birth, Jordyn was rushed by air ambulance to Mayo Clinic. Mayo’s team of pediatricians, cardiologists, neonatologists, a medical geneticist and the director of the clinical genetic sequencing lab worked feverishly and collaboratively to find a cause and treatment. 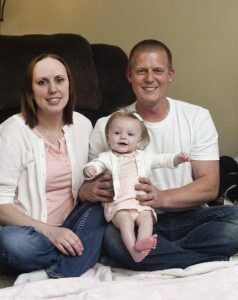 Without philanthropic support that provides a safety net of funds for patients in need, the Mayo Clinic team would not have been able to start sequencing so quickly and instead would have needed to wait for insurance authorization first – taking precious time that could have led to more invasive procedures to ensure Jordyn’s health. Instead, with testing greenlighted, genetic results that can take months were ready in just nine days. 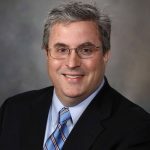 And Mayo Clinic experts in the Center for Individualized Medicine found an answer: a genetic defect that is linked to both pulmonary hypertension and a condition called small patella syndrome – a rare disorder that affects the knees. Suddenly, the pieces of the puzzle came together like a mosaic. DNA results shed new light on two very different health issues in LaMont’s family: a history of knee and heart problems within extended relatives. This discovery pointed physicians to medication compatible with Jordyn’s genetic makeup. And, they no longer had to put her through unnecessary tests for a cause. “The results simplified and streamlined our focus on the right treatment,” says Brendan Lanpher, M.D., a medical geneticist. “The tests results had a very meaningful impact for the baby and her extended family. This article originally appeared in Mayo Clinic Magazine Fall 2017 edition. A shorter version appeared in the Mayo Clinic Center for Individualize Medicine: Advancing care through genomics.